Preheat the oven to 450 degrees and lightly grease a sheet pan. Dice the pepperoni and set aside. Squeeze the spinach in a clean kitchen towel until you’ve wrung out as much moisture as possible. In a medium bowl, combine the spinach, ricotta, and nutmeg, seasoning to taste with salt and pepper. To assemble the calzones, cut the pizza dough into eight equal parts. Roll each piece into a small ball, then flatten into a circle about 4-6 inches in diameter. Spread 1 tablespoon of marinara sauce in the center of each circle, then top with 2 tablespoons of the ricotta mixture and a sprinkling of diced pepperoni. Fold the dough over the filling and press the edges firmly to seal. Place the calzones on a greased baking sheet and bake at 450 degrees for 15 minutes, until golden brown. 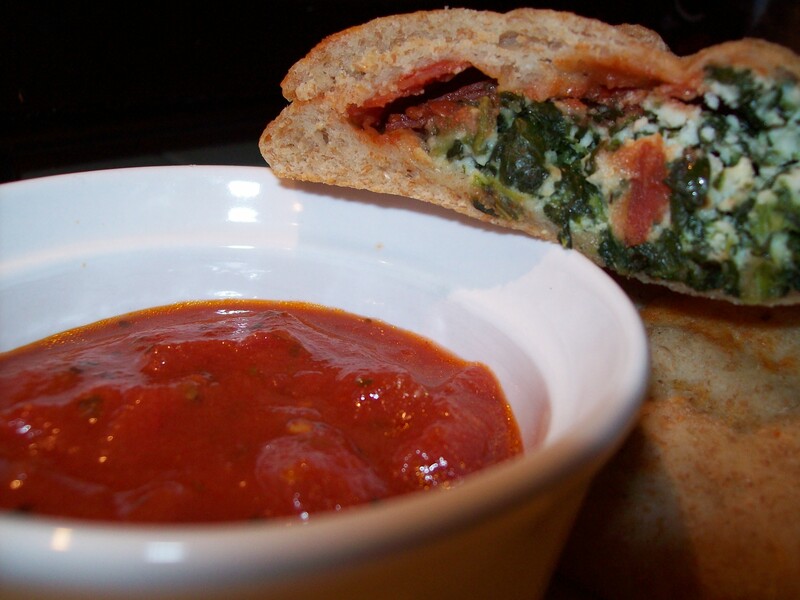 Serve with warm marinara sauce for dipping.